I don’t know if you have noticed, but I drink A LOT of Pure Leaf products! I’ve done a few other posts with different cocktails I’ve tried making, but I also just grab and go a bottle on my way out the door to throw into my purse. 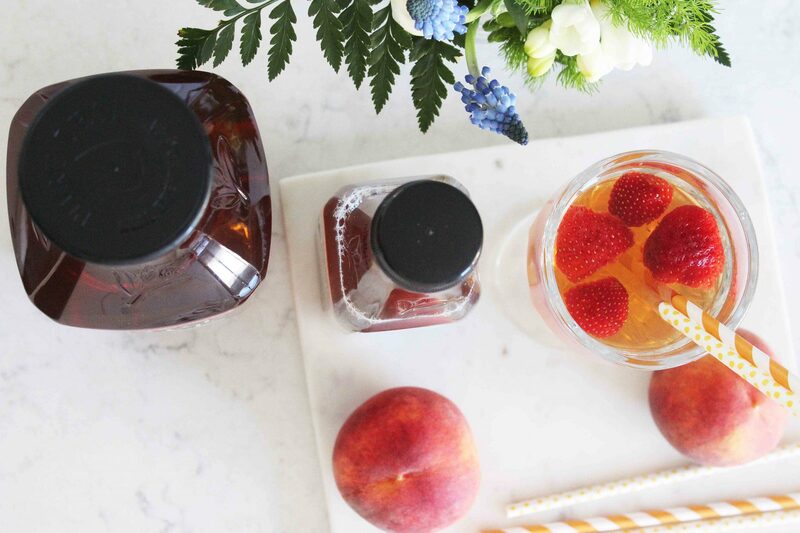 When I’m hosting people in my home it’s much easier to use the 1.75ML bottles to create a cocktail, so now that Pure Leaf has released the Peach flavor in this size I thought I would create a fun drink to host family and a dessert to go along with it! Family day just passed us by, and it was a busy one for us. 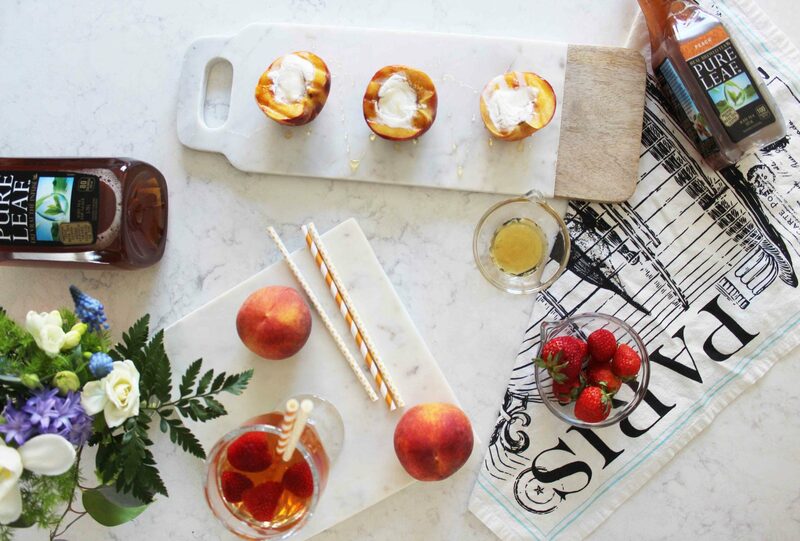 We had people over and I decided to create a fun dessert, along with a cocktail to match. I can’t believe I hadn’t made this easy recipe before! Slice peaches in half, removing pit. Spoon out the middle of the peach for the ice cream. Grill the peaches skin side out until grill marks form on the peach. 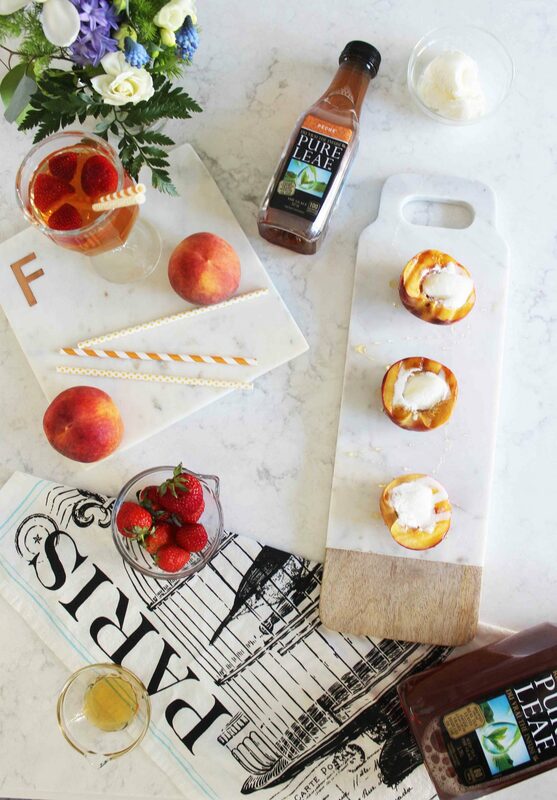 Add one scoop of ice cream to each peach, then drizzle with honey. Even though the weather was nice, I used my indoor grill for the peaches. It made my home smell so good as well! My son kept coming over for a quick snack because he knew this would be a good treat! 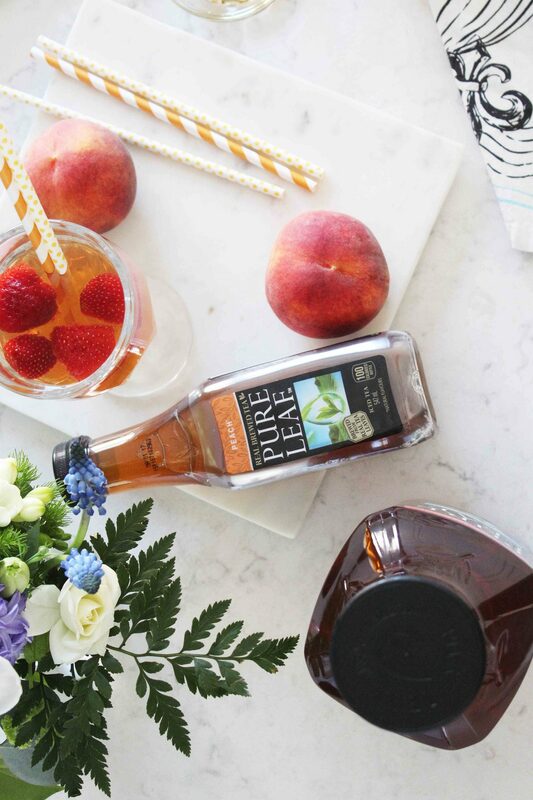 I wanted to add a cocktail to drink with this dessert, and fitting right into the peach theme was my Pure Leaf Peach Cocktail! Since we just had Family Day weekend in Canada I had to make this dessert for a big group, and because there were lots of family present I made two variations of the drink. 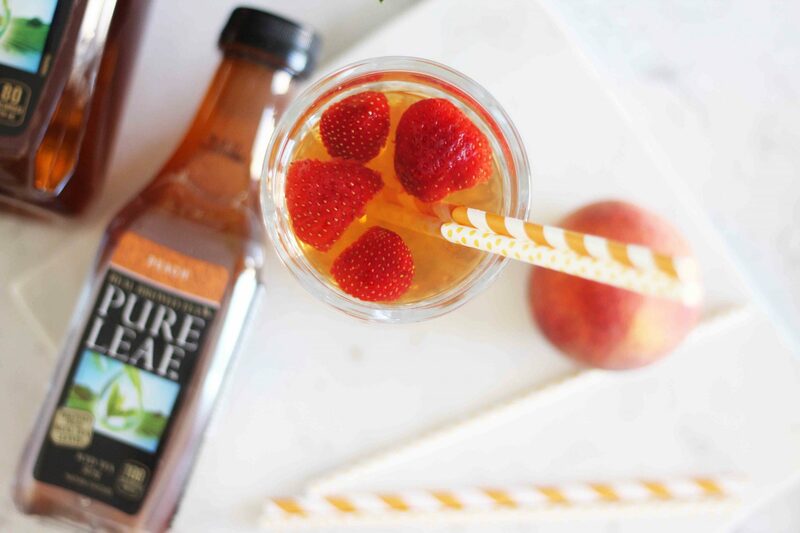 For one version I poured a bottled of the Pure Leaf Peach into a jug, and I added 1 ½ cups of ginger ale, plus one cup of sliced strawberries. I didn’t want to add too much more sweetness to the drink because of the dessert. For my second version of the drink I served I just added the sliced strawberries to each drink and added fun straws so it was a fun cocktail creation! 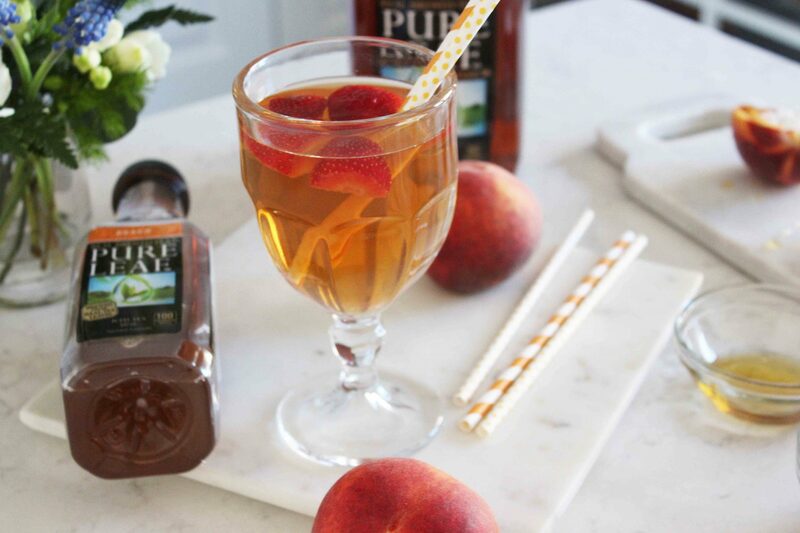 My favorite flavor of all of the Pure Leaf tea’s is actually the peach flavor. I’ve tried them all, but this one reminds me of summer and so adding it to my party menu seemed like a fresh addition! 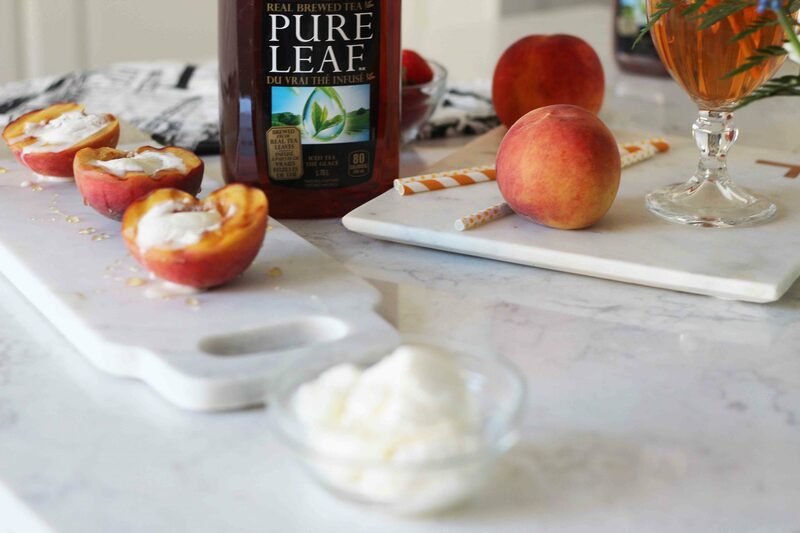 For more details on Pure Leaf Peach Tea and the rest of the Pure Leaf family of products, visit their website here!